Over all those hard edges? We have some good news for you. After many years of being dominated by straight lines, curves are making a comeback in interior design. Business Insider called rounded furniture one of the hottest design trends this year. "The furniture is a lot more substantial and rounded off where it was feeling very squared," Caitlin Murray, founder and CEO of Black Lacquer Design, told them. They're not alone. Everyone from Elle Décor to Architectural Digest has been touting this trend, which is now starting to settle in as a "must-have." "A boxy item here and there is fine, but 2017 will be the year rounded edges and circular furniture return," said Elle Decor. Patti Carpenter, a "global ambassador and found of carpenter + company," told them, "It's all about finding a place of calm and comfort in this constant chaos and information that we constantly have coming at us." In short, they said, "it's all about comfort…not edginess." Don't be afraid to take your whole room to a curvy place. You may want to mix up the color palette a little, but the three-piece set looks chic together. The faux marble wallpaper behind the seating area? That's another top trend. 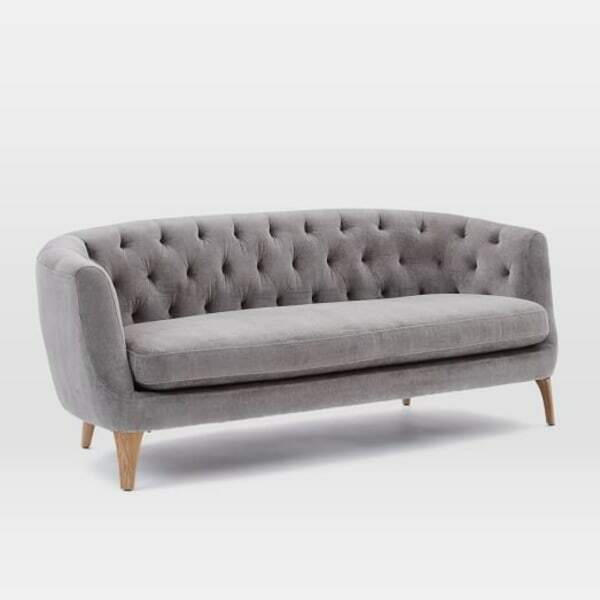 Or, incorporate one great piece, like this tufted couch from West Elm featured on the Today show during a segment on this year's design trends. 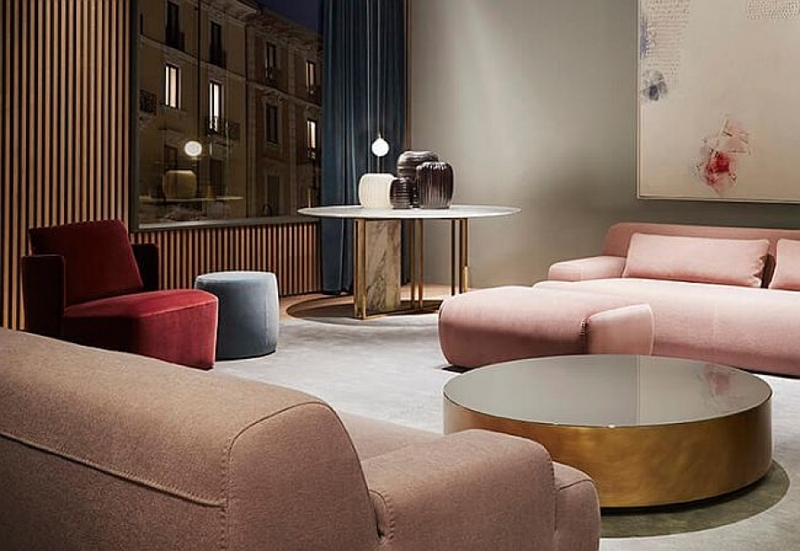 On the show, Amy Astley of Architectural Digest embraced the round furniture trend, saying the curvier shapes bring in a romantic, softer, prettier feel - especially when executed in velvet, like below. 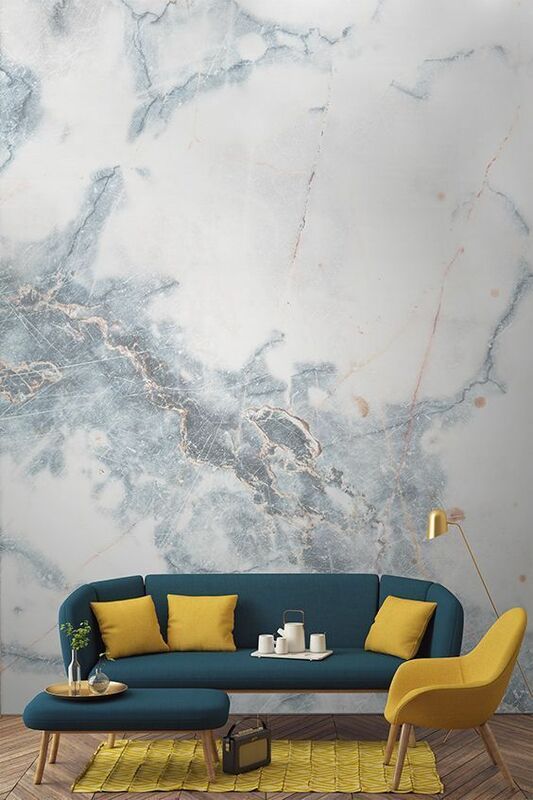 Worried about how rounded furniture will look in your existing space, especially if it already boasts a strong design style? The desk and credenza in this office space create a modern focal point, complemented beautifully by the ornate moldings. Keeping your straight lines and incorporating rounded furniture, too, looks great in this breakfast nook. The round table is a great choice because it fits in snugly in a small space and allows everyone to gather ‘round (literally) and enjoy each other's company. Going the round route in your outdoor space immediately reads: resort. With these cocoon-like chairs, you may never go inside.